Today we have Jess with us, and I am so happy! Jess and I had some technical difficulties getting this post to you, and you were about to be treated to a repost of my Pleated Dress tutorial from last summer. Jess was an early blog encourager, as well as a fellow competitor on American Crafter. And she’s expecting a third wee one to add to her adorable family. Hi, I’m Jess from A Couple of Craft Addicts. I love to sew especially for my daughter so when Melissa asked me to be a part of summer sundress series the ideas started flowing. I decided to go in a direction totally different from my tradition look. I made something for myself. A maxi dress that I can wear throughout my maternity months and enjoy after the baby comes as well. This dress is simple with an empire waist, ruffled hemline, and braided neckline. It is light and comfortable, perfect for summer. 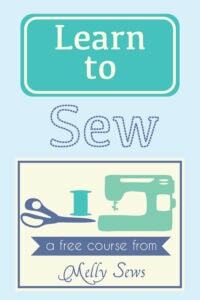 ***Make sure to finish off all your seams with a serger or zig zag stitch. 1. Start by taking some measurements. You will need to measure the length of the skirt portion of the dress. Start underneath your bust line and measure to the length you desire leaving at least 6 inches for the bottom ruffle. Remember to add 2 inches for hem lines. Then measure around under the rib line where your skirt will begin. Add 3 inches to the width for gathering and seams. Then you will measure the bottom portion of your skirt. My skirt portion was 37″ long by 26″ wide at the bottom. Fold your fabric in half and cut your skirt pieces starting at the top of your skirt and diagonally cutting to the bottom of your skirt. Then cut a second piece that matches the first. 2. Now cut the bottom ruffle. 2 rectangle pieces 8″x53″. 3. Next you will make the bodice portion. I used a tank top. The length was 8 inches (again up to you). The back side is just a rectangle the same height as the front starting under the arm. Here are your 2 pieces. 4. Now cut 3 long strips 1 1/2″ wide. Pin at the end and braid all the strips together. I didn’t measure the length I just wanted to make sure I had enough for 2 braids around the front neckline and 2 braids crossing in the back. 5. I also made some piping to go around the neck line, under the arms, and across the top of the back bodice. For tips on making piping check out this post by Prudent Baby. 1. Sew your bodice pieces together at the side seams RST using a 1/2″ seam. Now sew all the piping around the top of the dress. I started with the middle of the neckline. Then I added it under the arms and across the back piece of the bodice. 2. Now with RST sew the skirt portion of the dress at the side seams using 1/2″ seam. Next fold over the top of the skirt portion 1/2″ and press. Then fold another 1/2″ and press. Top stitch the fold down to create your casing for your elastic. Remember to leave 1/2″ space to thread your elastic through. Measure your ribcage where you want the bottom of your dress to start and cut the elastic piece to that size. Using a safety pin thread the elastic through the casing. Sew the elastic together at the ends and close up your casing. Now with both the bodice and the skirt turned inside out, pin the skirt to the bodice top with the top on the outside of the skirt. (Hint: floor, skirt, bodice…does that make sense?) Using a zig zag stitch, sew the skirt to the bodice right underneath the elastic. This will provide the stretch that you need). 3. Take your bottom ruffle pieces and sew them together on the sides with RST and trim the access fabric. Now you should have a large circle. Using a loose gather stitch sew all along the top of the ruffle pieces leaving the ends long. Gather your ruffle piece until it is the same size as the skirt portion of your dress. Pin the ruffle in place about 1″ from the bottom of your skirt with the ruffle on the top. This part is tricky to keep the ruffle level all around the bottom of the skirt. Sew along your gather stitch (attaching the ruffle to the skirt). Turn the bottom of the ruffle under 1/2″ and then another 1/2″, press and sew down. I used a double needle for a nice finished look on the hemline. 4. Now you can finish the top. Find the middle of the bodice front and pin your braid in place under the piping. Then take your second row of braid and pin underneath the top row tucking the ends underneath the top row. **I sealed the ends of the 2nd braid with a zig zag stitch or serger. Now sew the two ends together just to hold them in place. Using liquid stitch I glued the braids to the top of the bodice. Once that is dry put on your dress and measure how long you want the braids to be in the back after criss crossing. Pin and sew the braid ends to the back of the dress (again I sealed the ends). I like the stretch and the extra tummy room but this dress will be great for even after the baby comes. Thanks for having me Melly I sure do enjoy Summer Sundresses. Thanks, Jess! 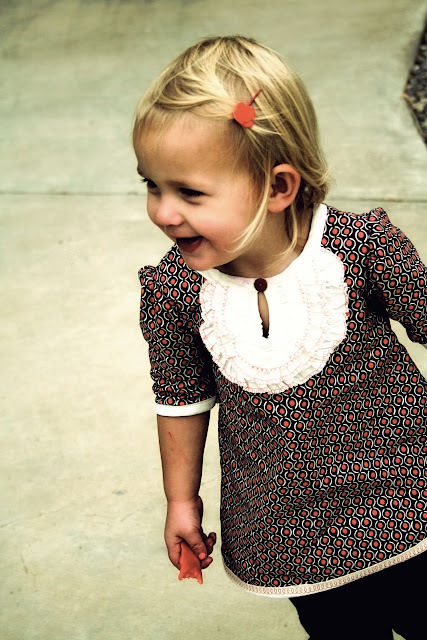 Make sure to check out Jess’s Butterfly Romper, Isabella Dress and Sadie Shirt on her blog. And come back tomorrow to see what the girls from Simple Simon & Co have cooked up! What a perfect, darling dress! Very cute, love that print!! Great dress and perfect fabric choice! Awesome job Jess! 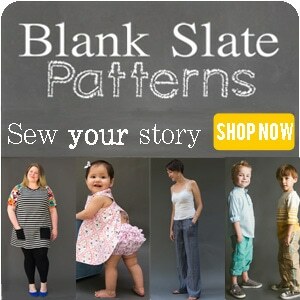 Amazing information styles pattern blog.it’s really like choli design. thanks for sharing. you can online purchase designer eid drees materials from G3 fashions surat.